I want to thank everyone who entered my Empire Covers RV/Camper Cover Giveaway. I would also like to thank the giveaway sponsor, Empire Covers, for sponsoring this great giveaway for my readers. Here is the RV they have won a cover for! 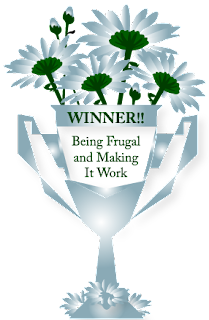 "Being frugal and making it work sent me. Contest entry"